The Coast Guard rescued two people and a dog near Southwest Pass, Vermilion Bay, Louisiana, Monday. 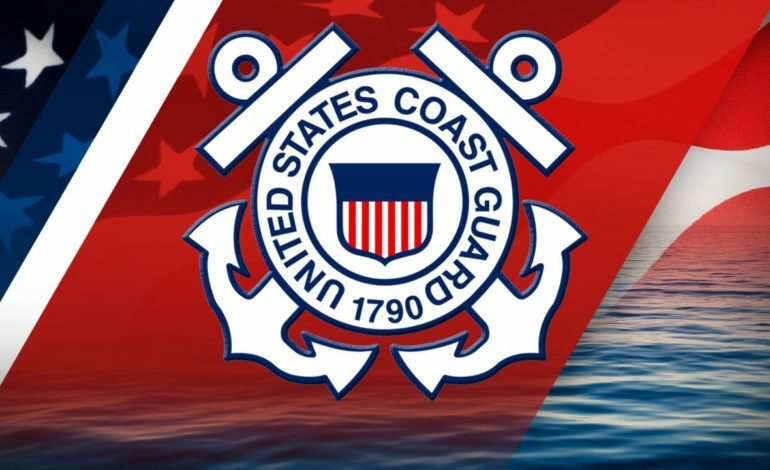 Coast Guard Sector New Orleans watchstanders received a report at 8:40 a.m. of an overdue 19-foot aluminum vessel with two people and a dog aboard who departed for a fishing trip yesterday between Vermilion Bay and Southwest Pass, Louisiana. Watchstanders directed the launch of a Coast Guard Air Station New Orleans MH-65 Dolphin helicopter aircrew and a Coast Guard Aviation Training Center Mobile HC-144 Ocean Sentry aircrew. Louisiana Department of Wildlife and Fisheries, Iberia Parish and Vermilion Bay Sheriff’s Department also launched air and surface asset crews to search. The Dolphin helicopter aircrew located the two people in a marsh area near the southwest point of Southwest Pass, Vermilion Bay, just west of Marsh Island at 4:23 p.m. The Dolphin helicopter aircrew hoisted the two individuals and their dog at 4:23 p.m. and transported them to Acadiana Regional Airport. The individuals were reported in good health.